The Cobra MT 2002 is a PMR two-way radio value pack with radios offering range of up to 5 KM. 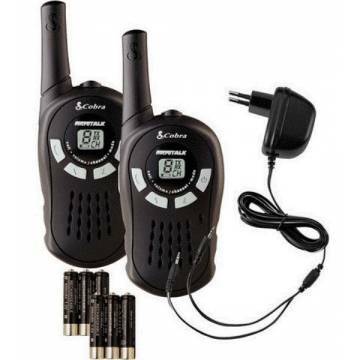 The radios include rechargeable batteries and a wall charger. 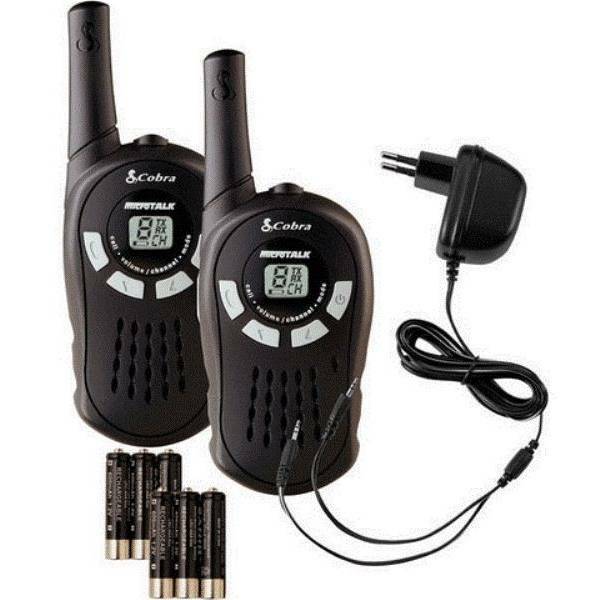 The front push buttons give you access to all 8 PMR channels and the Roger Beep, battery low indicator, battery/power saver, and Call Alert make this an affordable and compact option for everyone from the novice to the professional radio enthusiast.